Ghenoa Gela, produced by Performing Lines. Image by Jamie James. Seventeen professional theatre, music and dance organisations, exhibitions and literature events have been selected to share in over $674,000 Regional Arts Touring funding. The $674,938 will result in more than 90 performances and events across over 50 NSW locations, bringing a diverse range of leading arts and cultural companies and institutions to the regions, playing across a variety of venues – big and small. Audiences will hear from celebrated international musicians, witness live competitive poetry, as well as experiencing more contemporary genres like hip-hop storytelling, and much more. This funding will also bring valuable employment opportunities, both for artists and for locals working across the participating venues. Regional Arts Touring funding supports projects that provide access to arts and cultural audiences living in regional NSW. Funding is available for tours of all art forms, including performing arts, music, visual arts, literature, history, museums and multiarts. To support a regional NSW tour by the acclaimed ACO Collective, directed by ACO Principal Violin Helena Rathbone. The tour will reach three regional NSW centres and offer performances and specialist music education activities for each community with a total reach of 1,400 people and offer employment and participation for 19 artists and crew. An ensemble of the Australian Brandenburg Orchestra will undertake a regional tour to six NSW regional towns, visiting Berry, Goulburn, Young, Parkes, Mudgee and Singleton, showcasing music from the early classical and baroque period, featuring five to seven musicians. This tour will provide communities in regional NSW access to and engagement with live classical music. To enable regional NSW seasons (Wagga Wagga, Dubbo, Gosford, Tamworth and Broken Hill) of a national tour of CDP Theatre’s new adaptation of Eric Hill’s beloved Spot books. The tour is aimed at audiences aged 18 months – 7 years, with a strong appeal to both family & educational audiences. To support a regional NSW stage of a national tour of CDP Theatre’s new Australian adaptation of David Walliams’ Billionaire Boy. This will build on the considerable success at the Sydney Opera House and CDP’s highly successful 2017 tour of David Walliams’ Mr Stink (supported by Create NSW and Playing Australia). To provide financial support for the regional NSW component of a three State tour of hip-hop storytelling show, In Between Two. The project will include three performances and three workshops in Wyong and Bathurst. To enable a regional tour of Sunset Strip, a contemporary Australian drama by Suzie Miller with strong health themes. The production will travel to three NSW venues for 10 performances as part of a Playing Australia funded seven-week national tour, offering employment to 10 artists and crews over nine weeks. Ensemble Theatre’s production of Diplomacy by Cyril Gely will tour in a total of 15 performances across five venues in NSW, including Glen Street Theatre, Orange Civic Theatre, Joan Sutherland Performing Arts Centre, Wyong Art House and Shoalhaven Entertainment Centre. Directed by theatre luminary John Bell and based on a real-life historical event, Diplomacy documents the events of one fateful night in 1945. Ensemble Offspring will tour Wombats, Wattle and Winds, a unique concert program especially designed for families and young children, to Tamworth, Coffs Harbour and Byron Bay in 2019. With a touring party of three musicians (piano, percussion, woodwind), the program will introduce children to the work of iconic Australian composers. To support a metropolitan tour of fLiNG Physical Theatre’s new work Body & Environment to Riverside Theatre, partnering with FORM Dance Projects (four presentations) & Wollongong Town Hall Auditorium partnering with Merrigong Theatre Co (two presentations). This metropolitan tour will give fLiNG & regional youth opportunities for increased exposure, skill development and access to new audiences. To support the Australian Poetry Slam (APS) NSW Regional Tour across regional NSW, culminating in a final competition at the Sydney Opera House. At each venue, 20 local artists will perform their own writing for a live audience, which selects two poets to compete in the final. Workshops at each location will further develop local writers’ skills and inspire them toward artistic excellence. The Eugenia Lim: The Ambassador regional NSW touring project initiated by 4A Centre for Contemporary Asian Art (4A) and Museums & Galleries of NSW (M&G NSW) will tour across four NSW galleries (plus four interstate galleries) over two years. The artist, Eugenia Lim, will participate in programs with audiences at each venue. 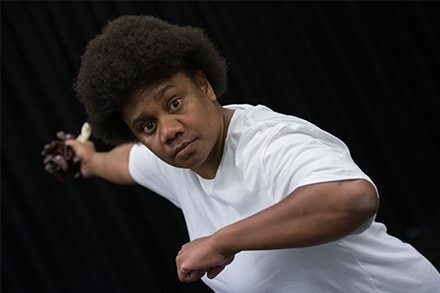 Ghenoa Gela and Performing Lines will deliver a 2019 national tour of My Urrwai, with nine performances and engagement planned across four NSW venues in Queanbeyan (with extended engagement), Nowra, Bathurst and Wyong. The tour will take two NSW artists on the road for approximately 10 weeks, with the NSW component comprising approximately one third of the overall tour. Performing Lines, PYT Fairfield and Force Majeure will deliver a 2019 national tour of Jump First Ask Later with seven performances and minimum of three workshops across NSW, visiting Queanbeyan, Nowra, and Parramatta. The tour will take eight NSW artists on the road for seven weeks, to 13 locations across four states. NSW venues will comprise approximately 25% of the overall tour. To support a regional 2019 Farewell Tour of Shaun Parker & Company’s physical theatre work Blue Love to NORPA Lismore, Griffith and Taree accompanied by integrated workshops, artist’s forums and a unique and quirky community engagement program with local choirs. This project will offer employment for four artists and crew over four weeks. Funding will support a tour of The Gospel According to Paul, a new Australian comedy starring Jonathan Biggins as Paul Keating, to 13 NSW venues in outer metropolitan and regional areas for a total of 46 performances. This will form part of a wider 17week national tour. To support a regional tour from SYO with seven performances and four workshops, teaching and presenting significant works from the orchestral canon. The project will offer learning and performance opportunities to over 100 young musicians over three days in November and four days in June. Festival of Small Halls Summer Tour 2019: Cygnet to Illawarra will tour high-quality international and Australian musicians across regional, rural and remote areas to perform 20 original shows as well as hold workshops. The Summer Tour 2019 will feature Fru Skaggerak and Liam Gerner and will provide opportunities for 20 local support acts and six arts workers over five weeks.